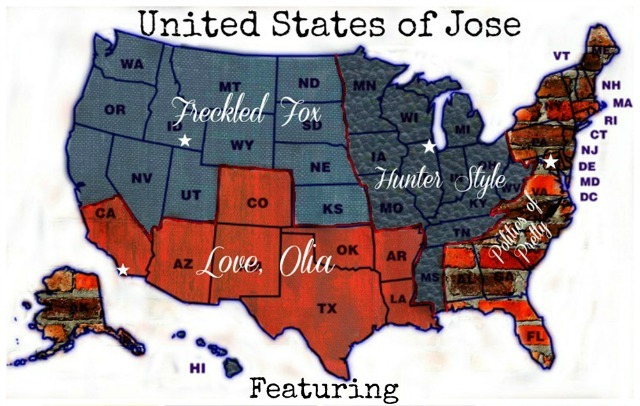 The Freckled Fox: United States of José Contest and Giveaway! United States of José Contest and Giveaway! Morning everyone, I have a different and fun treat for you today! As you know (if you've been following me for a little while) I'm a huge fan of Josè Eber Hair, and recently they just in ULTA Stores! In celebration, they've teamed up with a few of their favorite bloggers across the country to give you the chance at winning a $100 ULTA Gife Card!! Awesome right? The products I have tried from Josè Eber have easily become my favorite styling products, especially the Trio Clipless Curling Iron (most recently featured in my Easy Everyday Curls Tutorial) because I haven't used another curling iron since I received it! I'm so happy to help spread the word about Josè Eber Hair, and I'm honored to be part of this contest! Although they have been featured on the blog before, here is a little background on Josè Eber Hair: Josè Eber is a world-renowned stylist who has worked with some of the most well-known celebrities. José Eber takes his love affair with hair to the next level by introducing the most revolutionary collection of professional quality hair tools on the market. At the forefront of innovation and technology, José Eber Hair tools pave the way with superior designs and advanced features that provide professional quality results that are unsurpassed. Their tools work to give you fantastic results while maintaining the health of your hair. Josè Eber Hair teamed up with me and three other bloggers from around the country: Love Olia in California, Politics of Pretty in Washington DC, and Hunter Style in Chicago! 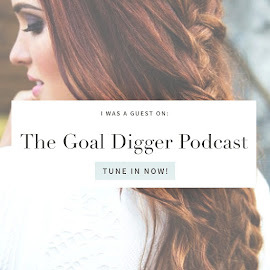 Each blogger will choose one winner from the Instagram participants in their delegated region, and Josè Eber Hair will send a $100 ULTA gift card to each winner picked! 1. Read each participating blog to find all four of the clues you need. 2. Once you have found all the clues, take your picture, making sure to show all the clues. No purchase necessary, only one entry per person. All photos must be posted between June 13th and July 8th, the winner of each region will be chosen July 9th. Valid in US only. Winners chosen are under the jurisdiction of each blogger and will vary accordingly. 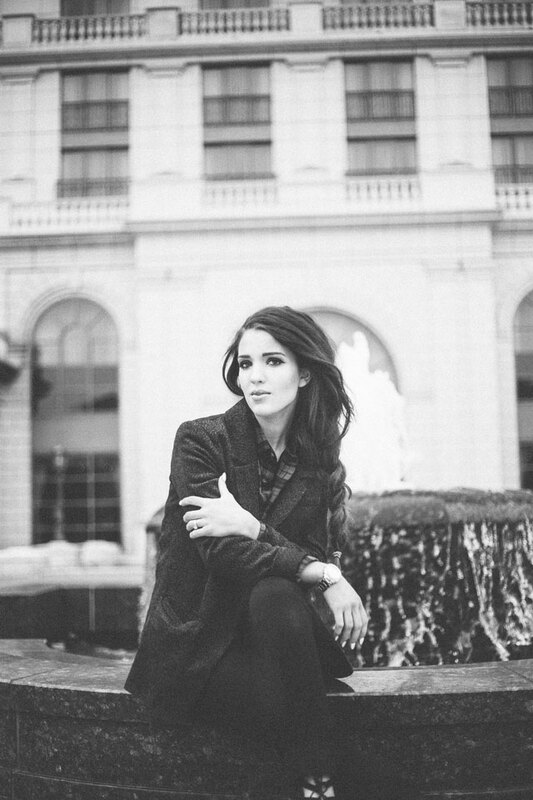 Now, head on over to Politics of Pretty’s blog at www.politicsofpretty.com for your next clue! 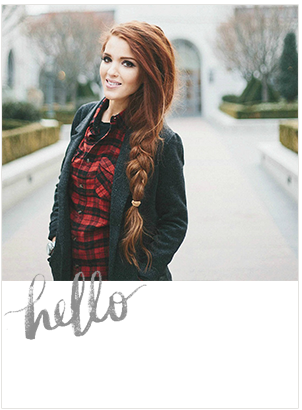 Thanks for comin by today, and I'll see you tomorrow for a really exciting post! P.S. Don't forget to visit Julie Ann Art to give her a little lovin', view a Freckled Fox feature post, and enter to win 3 Months Large Ad Space on The Freckled Fox! Do you have to have an instagram to enter or can we send pics to you?